Clients often ask me about sweet treats — as in, what kind of cookies or ice cream would be the healthiest? Well, that’s a tough one. There are all sorts of delicious plant-based, dairy-free, and gluten-free treats out there, but I wouldn’t exactly call them healthy. In fact, most of the time, these “healthy” treats are just as processed as their unhealthy counterparts. And they’re often really high in sugar. However, here’s some good news: you can absolutely enjoy some sweet treats that aren’t made with refined sugar, and are just as satisfying. 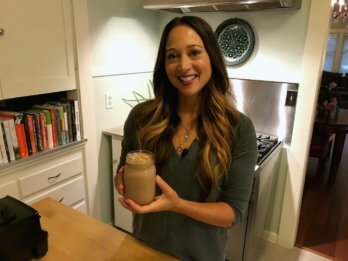 One of my favorite ways to enjoy a sweet treat is to blend up a chocolate smoothie. This goes over especially well as an afternoon (or after school) snack. 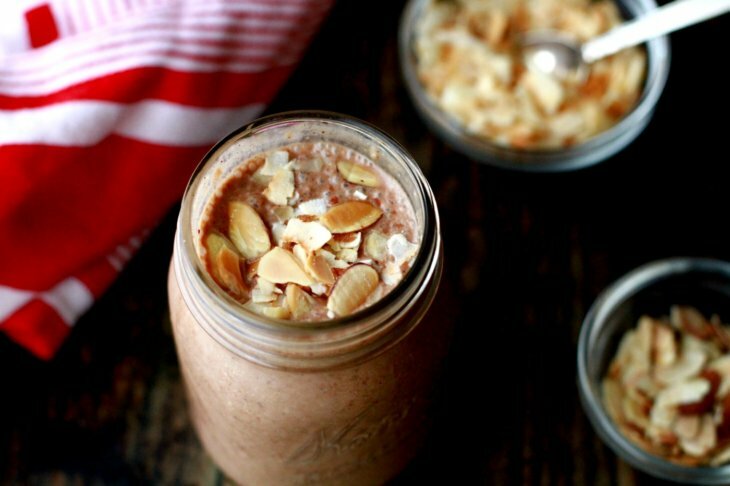 This Almond Joy Smoothie is creamy and chocolatey, and full of coconut flavor. Just like its Halloween candy cousin, but so much better for you. 2 medjool dates *** be sure to remove the pits! Process until creamy and smooth. Pour into a glass and top with toasted almonds.